Such a moment occurred when I.N. and Bernardine Hagan were in New York City working with Paul Mayen choosing furniture for their newly constructed home. While in New York, an article on George Nakashima appeared in the New York Times. Intrigued, the Hagan’s stopped by Nakashima’s studio in New Hope, Pennsylvania on their way home where they were able to meet with him. Falling in love with his work, the Hagan’s ordered eight dining room chairs made of walnut with a grass seat, a chest of drawers, and a table for the living room. Getting quality modern living room furniture has always been a priority for both Nakashima and the Hagan’s. Nakashima, born in Spokane Washington in 1905, received his degree in architecture and traveled extensively. His path led him through Paris and onto Pondicherry, India where he worked under Sri Aurobindo. During WWII he moved back to the United States and settled in New Hope, PA where his home and studio is to this day under the care of his daughter, Mira, who continues his tradition and craft. Nakashima’s work is described as a natural evolution from the core – the tree receiving new life in his work. He also stresses dedication and pride in craft, its importance, and the increasing rarity of true craftsmanship. The Hagan’s requested custom pieces as well. 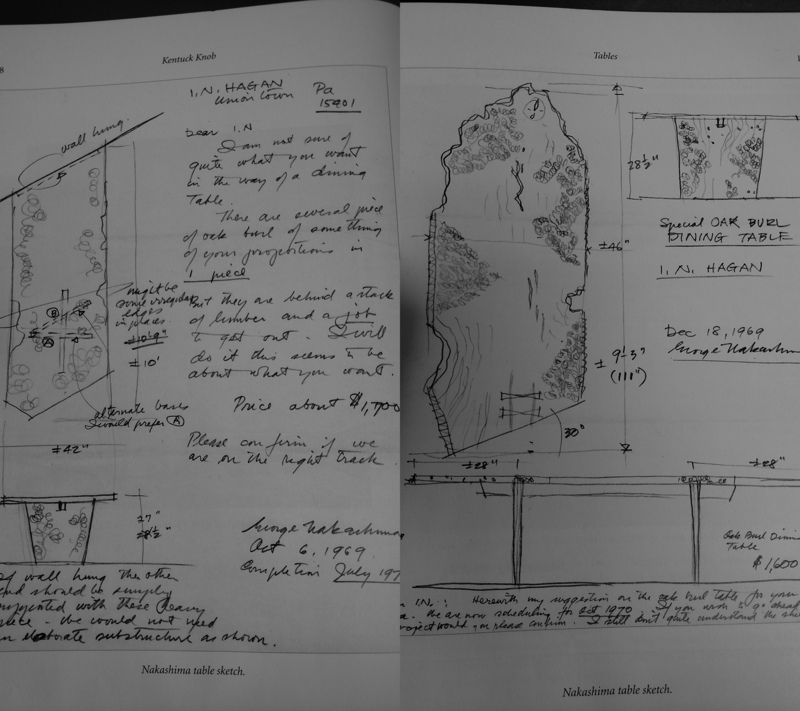 Nakashima at first stated that he did not care to work with the angles of Wright’s homes, but agreed to build their coffee table and chest of drawers if he could be provided the plans of the home. 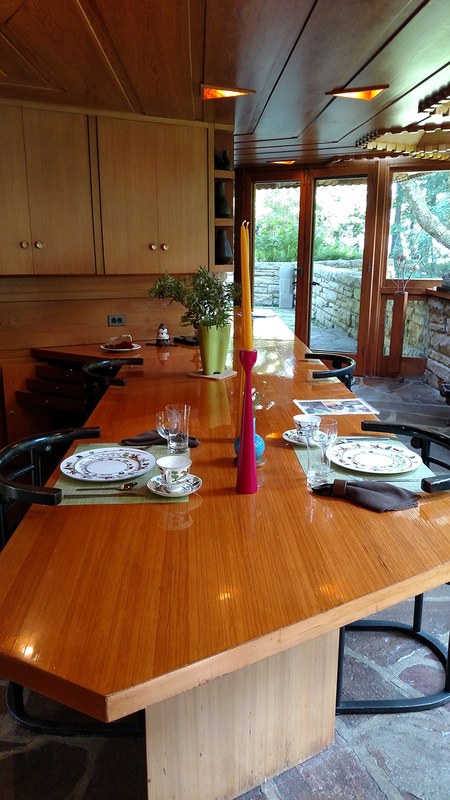 Over ten years later the Hagan’s were visiting the Nakashima’s and saw a piece of Oak Burl that they knew would make a beautiful dining table. Wright’s table became easily nicked and scratched as it was a thin veneer over plywood, which cannot continuously be refinished. Nakashima’s table provided an excellent alternative and was made to fit the angles of the home and the space where Wright’s table had been. The Nakashima furniture seemed to fit organically with the home, matching its angles, integrating itself with the hand-hewn stone and cypress walls, and continuing the tradition of fine craftsmanship. 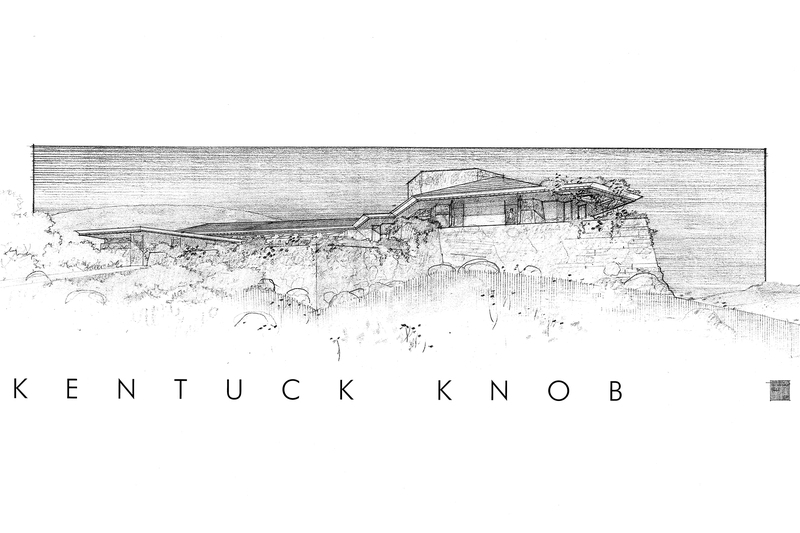 Kentuck Knob is a quintessential example of Wright’s organic architecture – flowing into the hill seamlessly and so the Hagan’s choice of Nakashima for furniture seems to be…serendipitous.